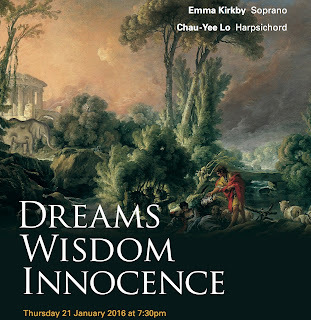 At a concert on 21 January 2016 entitled Dreams, Wisdom, Innocence, the distinguished soprano Emma Kirkby will be joined by harpsichordist Chau-Yee Lo in a programme which mixes Purcell and Couperin with contemporary repertoire from Stockhausen and Andrew Wilson-Dickson. The concert takes place at the church of St Bartholomew the Great in West Smithfield and all proceeds are going to Maytree a UK charity which runs a suicide respite centre. The centrepiece of the programme is Karlheinz Stockhausen's Tierkreis based on the signs of the Zodiac and arising originally out of play with his daughter. Stockhausen wrote the 12 pieces originally for music boxes, but produced them in a variety of versions for voice and accompaniment. Tierkreis remains one of Stockhausen's most popular compositions. Also in the programme will be The Elephant by Andrew Wilson-Dickson from his oratorio Karuna which was premiered in 2014. 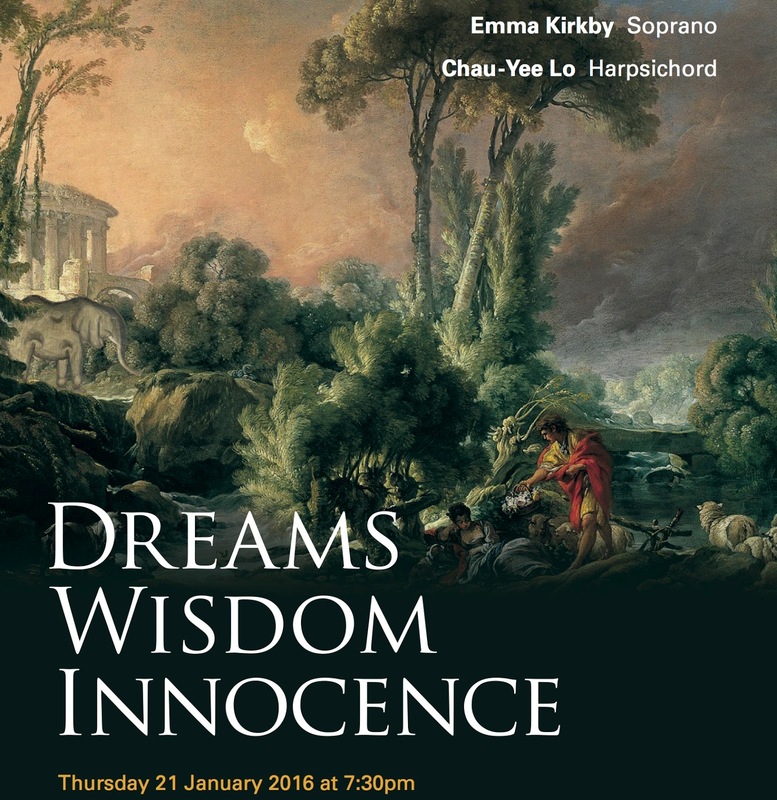 Completing the programme will be songs and keyboard music by Henry Purcell and Francois Couperin. Full information from the Dreams, Wisdom, Innocence website.